With Christmas on Its way the North Pole Elves are very busy making sure that everything is ready for Santa to deliver all the presents of Christmas Eve. Head Elf Holly is in charge of the presents wish list this year and is of course checking it twice, she’s going to find out who’s naughty and nice! 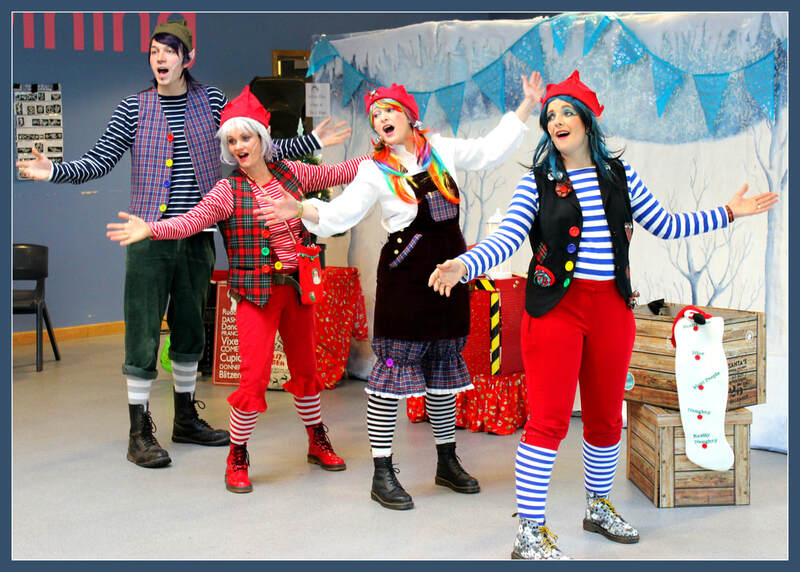 Sparkles, Tinker, Jingles, Patch, Willow, Tinsewho would love to tell Jokes, teach you some interactive songs and dances and create lots of Christmas cheer! 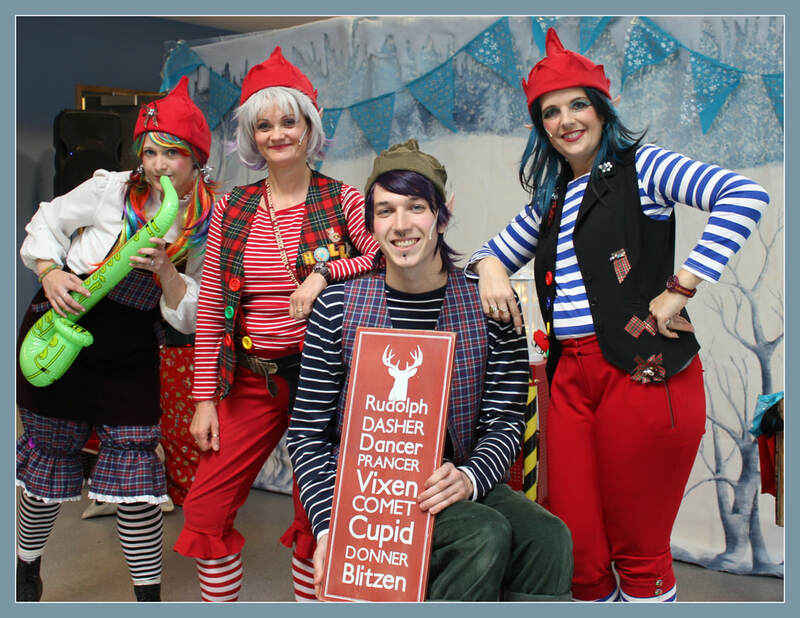 Our Elves are available to entertain you this year with drama, songs and dance. 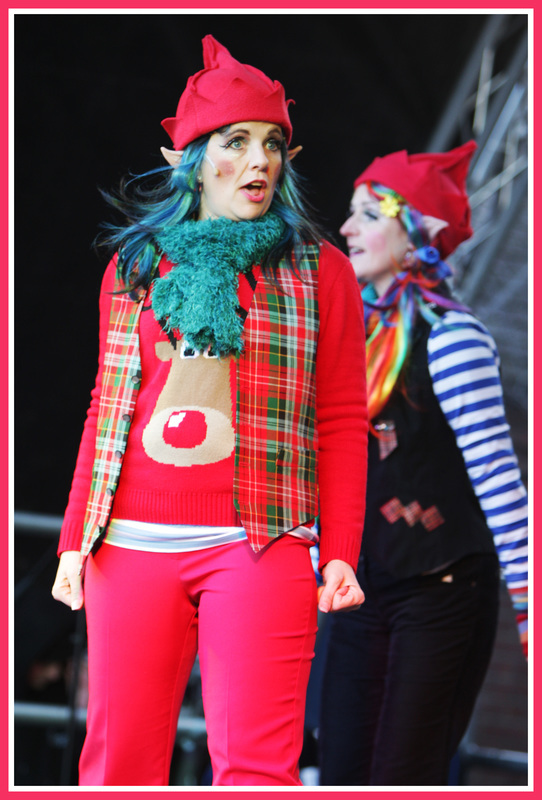 Head elf Holly just loves to tell you a joke or two and our Elves can sing and dance along to a variety of Christmas classics. Choose from songs such as White Christmas, Sleigh Ride, Rudolph the Red Nose Reindeer, I wish it could be Christmas Every day, Frosty the Snowman Rocking around the Christmas Tree and Jingle Bell Rock. 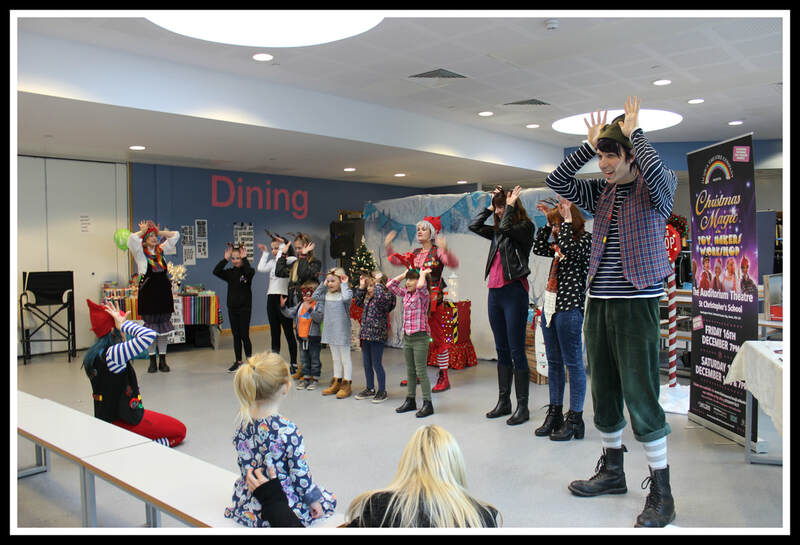 Book our Elves this Christmas to entertain your audiences and share a little bit of chirstmas magic this year at a community, charity or corporate event. Do you run a grotto, host a Christmas bizarre or event? Are you organizing a light Switch on Event? We can entertain your guests as they queue to visit Santa in his Grotto? 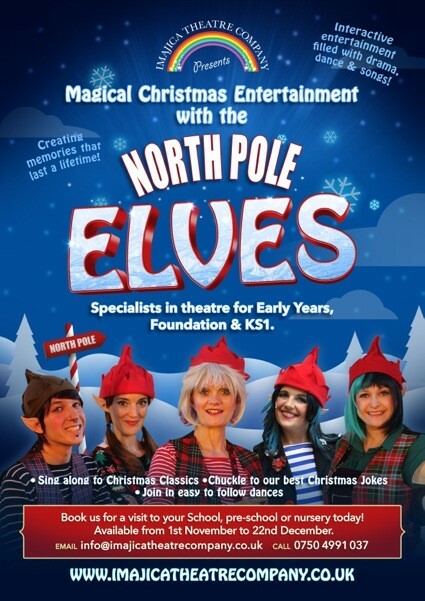 We would love to join you for a Christmas sing-along at your school, care home or nursing home, event or bizarre? So let us fill it full of cheer! We're sure to guarantee you all have a good time! 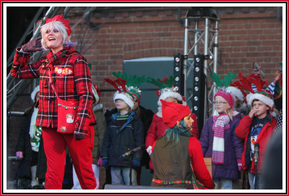 Imajica Theatre Company provide professional entertainment for any event. 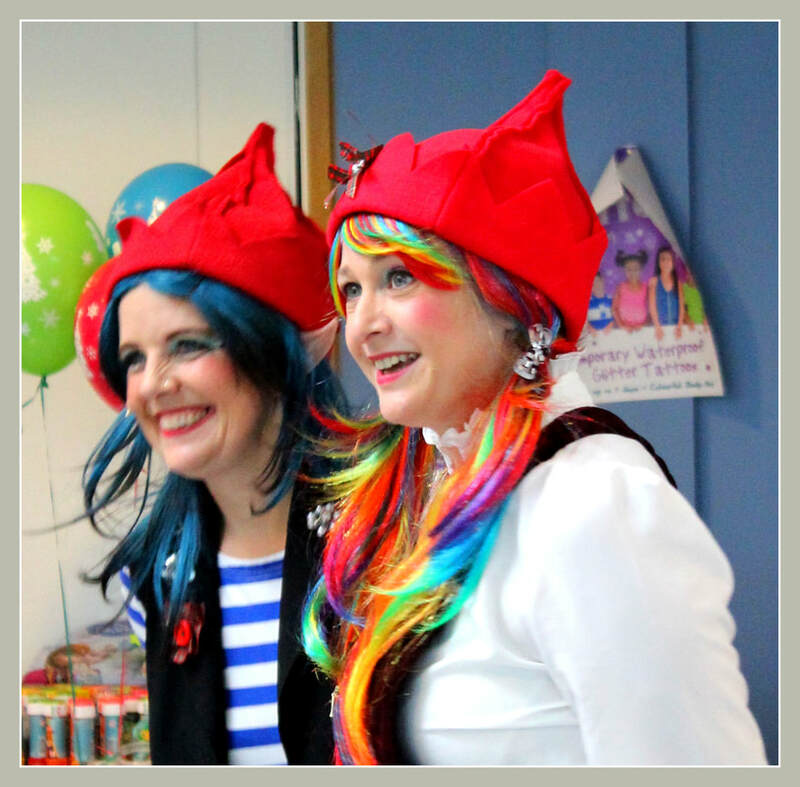 Our all singing and dancing North Pole Elves love to entertain. Our interactive cast are always available for photo opportunities post performance and are happy to chat to our younger audiences who always like meeting the characters after a performance. Imajica Theatre Company take our audiences into a world of magic and make believe. 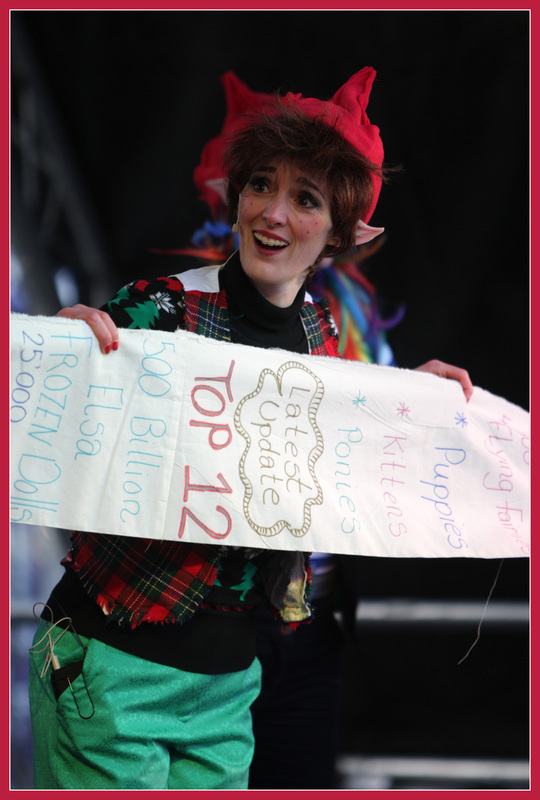 We can tailor our performances to suit your requirements and budget. Imajica Theatre are a community focused Theatre Company that love to go out into the community and share with audience how much fun the world of the performing arts can be. We aim to inspire others to become involved in the arts, making dreams comes true and fulfilling our community goals of offering access to the art to all!